Pensacola State College will hold auditions for “Uncle Vanya” at 7 p.m. Monday and Tuesday, Jan. 28 and 29, in Ashmore Auditorium, Building 8, on the Pensacola campus, 1000 College Blvd. 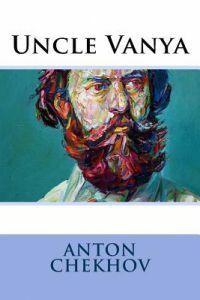 “Uncle Vanya” was first published in 1898 by Russian playwright Anton Chekhov. It premiered in 1899 in a production by the Moscow Art Theatre. The classic work led to the wave of realistic acting at the turn of the 20th century. It is an examination of man’s place in the universe and our abilities to connect with each other and love one another. Auditions will consist of readings from the script. Adult actors of all ages are needed, however there are no parts for children. For more information, contact Rodney Whatley at 850-484-1807 or email rwhatley@pensacolastate.edu.